Four Bedrooms Home with Pool 3077 in Kissimmee is a villa with 1 room. 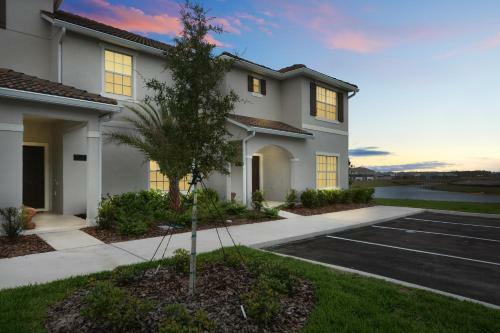 Featuring pool views, Four Bedrooms Home with Pool 3077 is situated in Kissimmee, 5 km from Kissimmee Value Outlet Shops. Housed in a building dating from 2016, this villa is 7 km from the 192 Flea Market. The villa has 4 separate bedrooms and includes a kitchen with a dishwasher, oven and dining area. The villa also comes with 3 bathrooms with a shower. The villa offers a year-round outdoor pool. Guests at the property can enjoy tennis on site, or cycling in the surroundings. Plaza del Sol Kiss...immee is 8 km from Four Bedrooms Home with Pool 3077. The nearest airport is Orlando International Airport, 29 km from the property. Featuring pool views, Four Bedrooms Home with Pool 3077 is situated in Kissimmee, 5 km from Kissimmee Value Outlet Shops. Housed in a building dating ...from 2016, this villa is 7 km from the 192 Flea Market. The villa has 4 separate bedrooms and includes a kitchen with a dishwasher, oven and dining area. The villa also comes with 3 bathrooms with a shower. The villa offers a year-round outdoor pool. Guests at the property can enjoy tennis on site, or cycling in the surroundings. 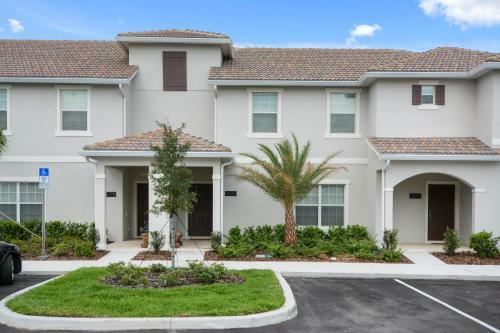 Plaza del Sol Kissimmee is 8 km from Four Bedrooms Home with Pool 3077. The nearest airport is Orlando International Airport, 29 km from the property. When would you like to stay at Four Bedrooms Home with Pool 3077? Guests are required to show a photo identification and credit card upon check-in. Please note that all Special Requests are subject to availability and additional charges may apply. This property will not accommodate hen, stag or similar parties. Guests must be at least 21 years or older to check in without a parent or official guardian. A rental agreement will be sent at the time of booking which must be signed and returned at least 2 days before arrival to confirm booking. Check-in instructions will be sent via email at least 2 days before arrival.